Here I captured them on the vine. They produce in trusses of fruit. Sweet Treats was a new one for me last year. I love, love, love this cherry tomato and will grow this variety again. 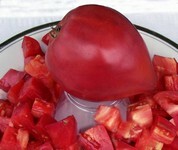 It was one of the first to ripen, had loads of dark pink, ping pong sized cherry tomatoes that were deliciously sweet. I had so many that I actually canned several quarts of them for fun and made some sauce. Because I didn’t want slip the skins off of them, I cooked them and then ran them through a sieve to strain them. They made an incredibly sweet and mouth watering sauce. The plant is very big, for us it was over 6 feet tall and very bushy. Definitely needs staking. In our neck of the woods (Inland Northwest – Spokane and surrounding areas) summer seems to come later and later. Lately, June seems to be more rainy than usual. Last year, I started telling everyone that tomatoes were a fall crop! I entered several in the fair and by the time it rolled around in the beginning of September, I still didn’t have any large tomatoes to share. I had plenty of cherry tomatoes and some smaller varieties but no prize winners… until two weeks after the fair. Sigh. After that, I had billions of tomatoes to eat and share and can (I put up 75 quarts). One of the ways we cope with our shorter climate (and I have absolute sympathy for Deer Park gardeners) is to plant “early” tomatoes. One thing I have found is that they aren’t substantially earlier than mid-season tomatoes. As for late season, I always get beautiful crops of those also, probably due to our actual frost date being sometime in later October. Here is some info on early tomatoes. 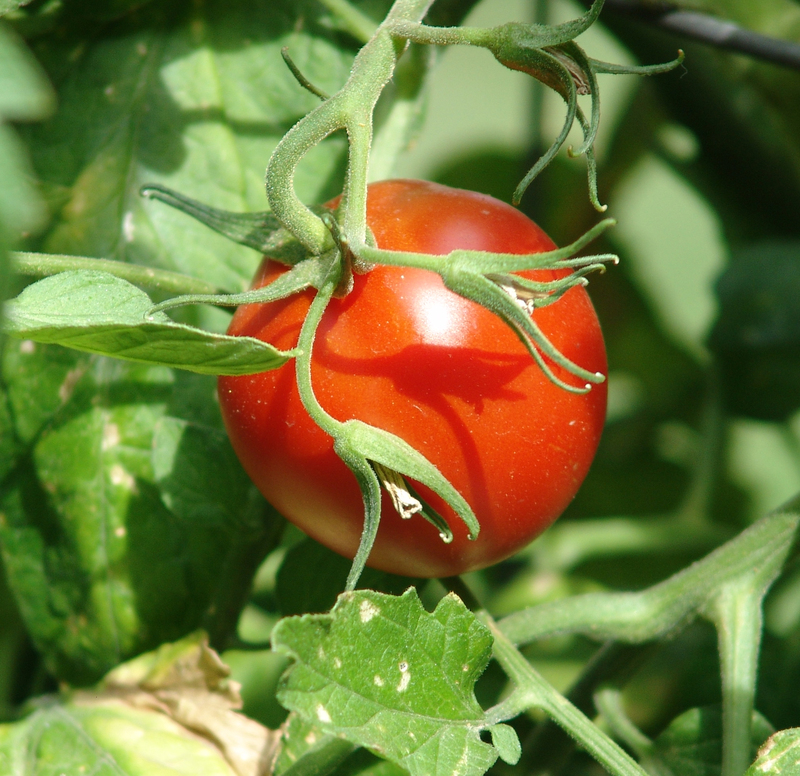 Early season tomatoes ripen fruit in 55 to 70 days after being transplanted to the garden as 6-8 week old plants. Because great tomato flavor comes with just the right combination of sugars and acids that are the product of sunlight and photosynthesis, early season tomatoes are often dismissed as less tasty than mid- and late-season tomatoes (which require 80 to more than 100 days to ripen) because they spend fewer days in the sun. 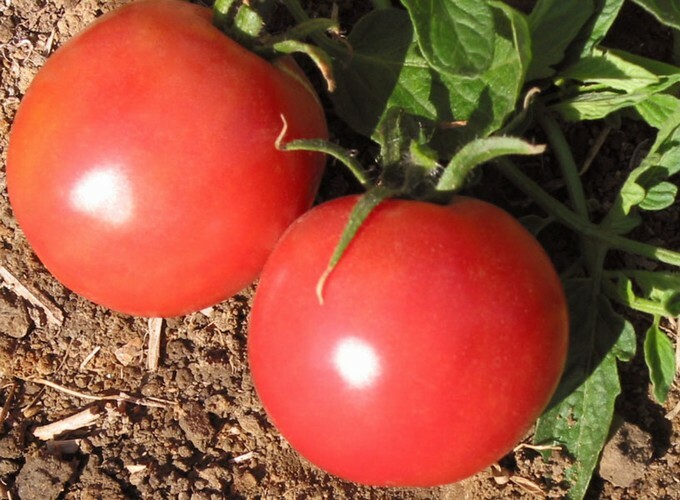 Many “early” tomatoes—which are often smaller and less leafy than later season tomatoes–can flower and set fruit in cool, early-season conditions. Given optimal conditions, early-season tomatoes can produce fruit equally flavorful to the best late-season varieties. I like the pink “Early Wonder”, “Stupice”, “Anna Russian”, and “Subarctic Plenty”. Those are very tasty. 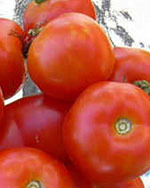 Cherry tomatoes are also earlier than the larger varieties but that is another post. Anna Russian (open-pollinated). Slicing tomato. Pink-red, heart-shaped, 10 oz. fruits; juicy, excellent sweet flavor. 70 days. Indeterminate. Early Wonder (open-pollinated). Slicing tomato. Dark-pink skinned to 6 oz. ; full flavored. 55 days. Determinate. Stupice (open-pollinated). Slicing tomato. Red-skinned, small to medium-sized to 4 oz. ; sweet, juicy. 50 days. Dwarf determinate, compact. For short-season regions. From Czechoslovakia. Sub Arctic Plenty (open-pollinated). Slicing tomato. Small, round to 2 oz. ; good flavor. 50 days. Determinate. Compact. Sets fruit in cold weather. Those were the last to succumb to the weather and I loved the taste. In order: Anna Russian, Early Wonder, Subarctic, and Stupice. This is the flower I mentioned in my previous post. This flower has a sweet, scent that permeates the air around my patio. It is absolutely lovely and flowers are airy and delicate. Very unusual and they last several years before they need to be replanted. I like them in pots up close.